The Campaign › What is “5 a day”? “5 A Day” is a worldwide movement endorsed by WHO (World Health Organization) to promote the consumption of at least 5 servings of fruit and vegetables a day as the basis for a healthy diet. 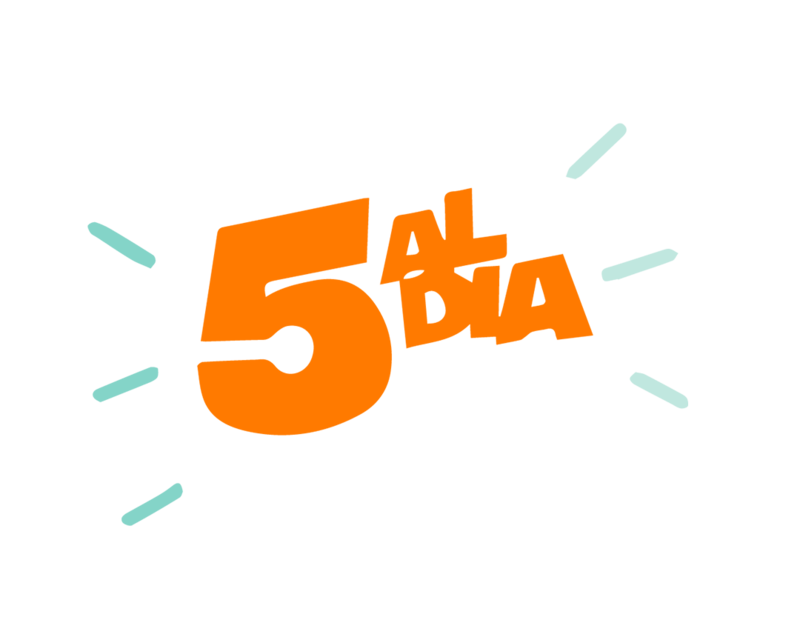 Mercabarna and the AGEM have organized the “5 A Day” campaign in Barcelona since 1998. More than 100,000 schoolchildren have taken part in this campaign, the first of its kind in Spain. The decrease in the consumption of fresh fruit and vegetables, particularly among the younger sectors of the population, in favour of processed items (pastries, dairy products, bottled juices, etc. ), which are generally the subject of extensive advertising campaigns, is a concern for the institutions responsible for consumer health and education. In this regard, the main goal of the “5 A Day” campaign, created in 1998, is to promote the consumption of fruit and vegetables by children, as well as by their families and at the schools responsible for their education. The campaign slogan is a reference to the importance of children acquiring proper eating habits and consuming at least five servings of fruit and vegetables a day. These foods, rich in vitamins, minerals, fibre and carbohydrates, are essential for the proper development of children. In addition, they help to prevent illnesses which appear later in adult life, such as cancer and cardiovascular problems. Cooperation from parents and teachers is fundamental for the campaign, as they share the responsibility for teaching children to acquire proper eating habits. 1. 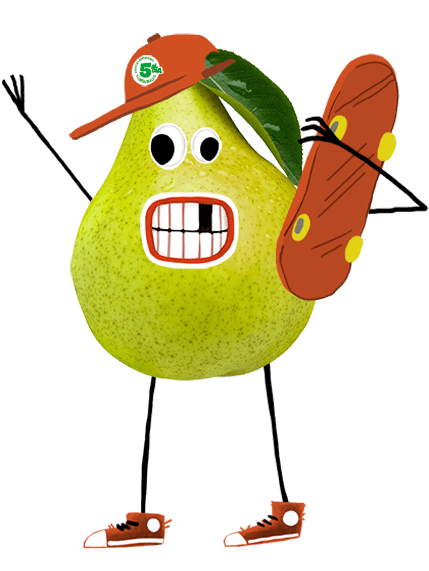 Raising awareness among children of the importance of eating five servings of fruit a day. 2. Learning about the food pyramid from a practical perspective: the creation of balanced meals. 3. Recognizing fresh products and the benefits of seasonal and local products. .
4. Distinguishing between fruit and vegetable families and identifying their specific properties. 5. Raising awareness among children of the importance of not wasting food. Every year, nearly 6,000 children from 100 schools in the city of Barcelona and its outskirts take part in the campaign. 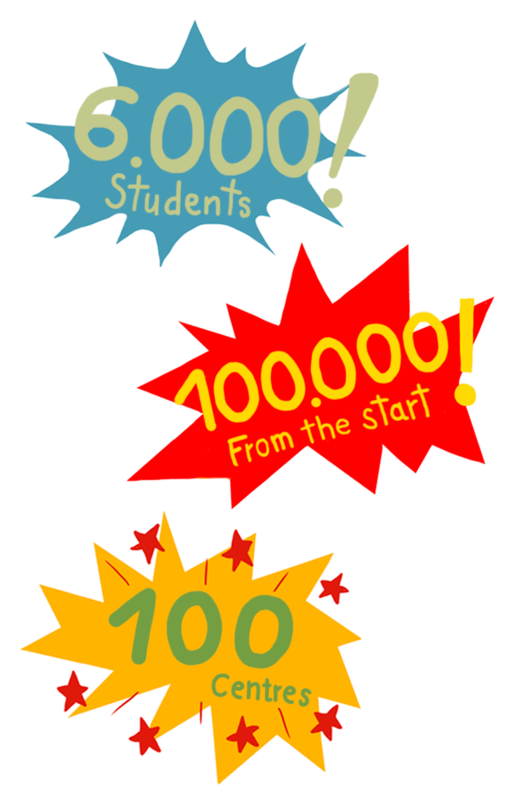 Since its creation, more than 100,000 primary pupils have participated in the campaign. There were two reasons for choosing this age range as being ideal for this campaign. Firstly, because nine and ten-year-old children are the most receptive to messages whose purpose is to instil proper lifelong eating habits. Secondly, because this is the stage during which school curricula include specific content related to agri-food consumption. The campaign was designed by educators and child psychologists. All the materials were supervised and approved by technicians from the Catalan Government’s Ministries of Education, Health, Agriculture, Livestock, Fisheries, Food and the Environment. The “5 A Day” campaign is an initiative conducted by the management of Mercabarna and the AGEM (Association of Guilds of Wholesale Fruit and Vegetable Entrepreneurs of Barcelona and Province). The “5 A Day” campaign is supported by the Catalan Government’s Ministries of Education, Health, Agriculture, Livestock, Fisheries, Food and the Environment. FRUITES DEL BAIX LLOBREGAT, S.L. FRUITES I VERDURES AMAT, S.A.
FRUITES I VERDURES ARDIACA, S.L. FRUITES I VERDURES MARESMA, C.B. FRUTAS DIEGO MARTÍNEZ E HIJOS, S.A.
FRUTAS RUBIO E HIJOS, S.L. FRUTAS Y VERDURAS GABRIEL SEGURO I ROIG, S.L. FRUTAS Y VERDURAS NAVÍO, S.A.
OPERACIONES COMERCIALES Y MERCANTILES, S.A.
VERDURES I FRUITES CODINA, S.L. VÍCTOR I MERCÈ FRUITS, S.L.